It might be hard to believe, but often Herrenweg vines will perform better if summer is slightly cooler and less dry. This vineyard is located on a poor gravely alluvial soil, very well drained, at the end of one of the deepest valley in Alsace (Munster). It also enjoys a very dry climate throughout the year, reinforced by regular light winds coming from the mountains. The higher than normal July rainfalls, followed by warmer and drier months of September and October, were perfect for this vineyard in 2007. It allowed the grapes to keep a high acidity and ripen to perfection. This Riesling took a long time to ferment and we were able to rack this wine only just before the 2008 harvest! As we always allow the wines to sediment and clarify naturally, it will be bottled only in February 2009. 12/2008: this is so typical Herrenweg Riesling: very expressive and aromatic white fruits (peach, pears) with hints of flowers. 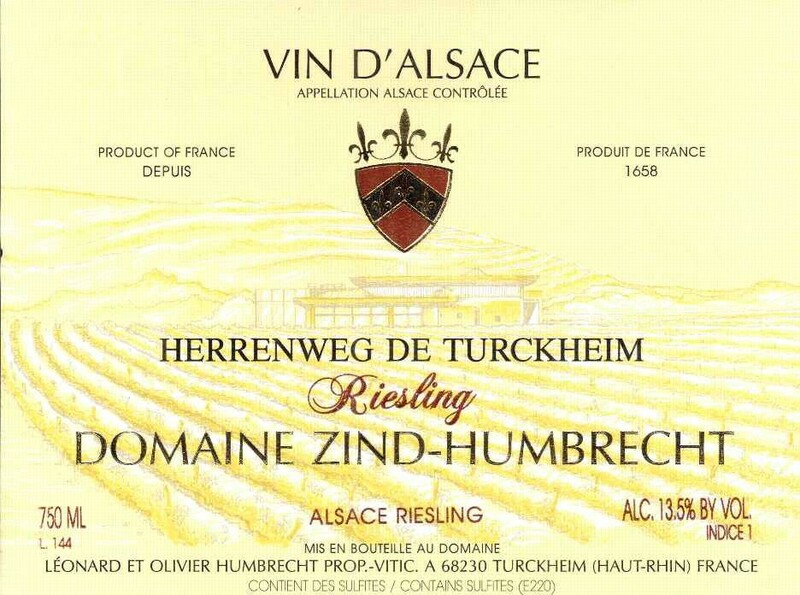 Certainly this style explains the success of Turckheim in the past! Despite it is still on lees as I write these lines, the palate is already showing everything. It is delicate, well balanced with an attractive acidity and dry fruity finish. This is perhaps the least lean style in 2007!